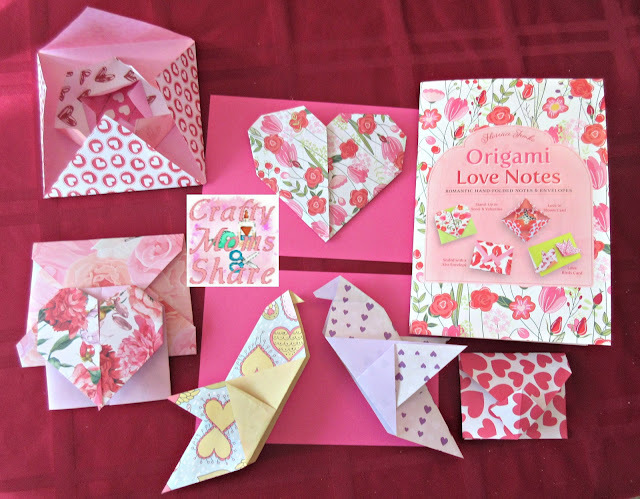 Now I have reviewed several origami kits and origami paper here. This kit is among the easiest I have seen. And the papers are beautiful!! Here is what is inside the box. The instruction manual has twelve projects in it that include cards, hearts and envelopes. Here is the table of contents. I tried several of them to check the instructions and the projects out. 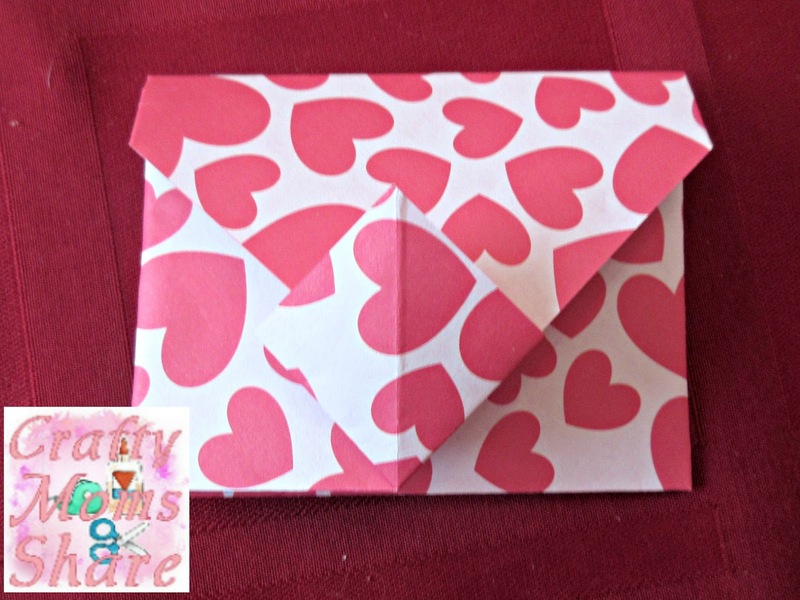 The easiest is the Sweet and Simple Envelope. I love this flowered paper. It is beautiful!! 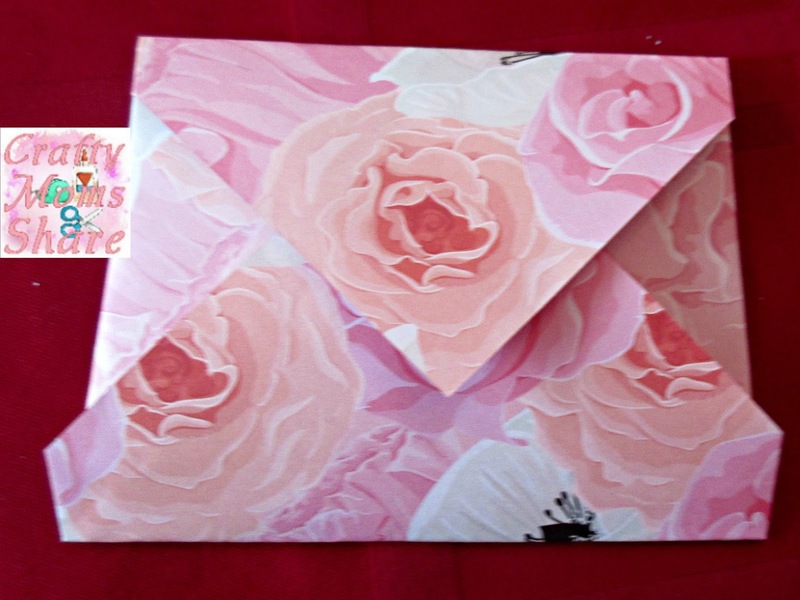 I also made the Sealed with a Kiss Envelope. 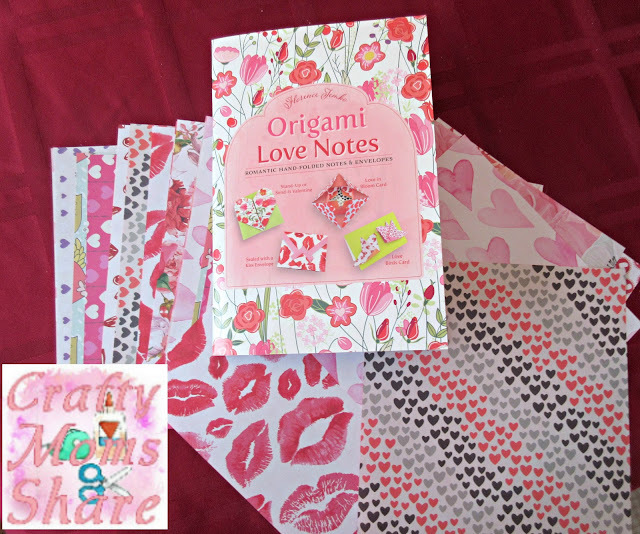 I used heart paper instead of the lip paper. I made the heart card or at least the heart for the heart card. I placed it on a card for background but didn't glue it there. 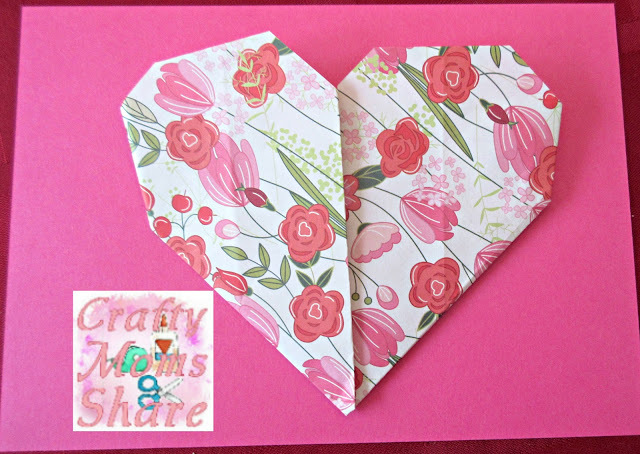 The heart is such an easy and fun one to do. Hazel made me one after school today as well. I also love the Stand-Up or Send-It Valentine. This one fits in my Simple and Sweet Envelope. I also tried the Love In Bloom Card which can also be made into an ornament. I didn't cut the outside shape to the correct size so it is a little big for the other two layers. This one is fun since you can write a note on all the folded corners of the three layers. 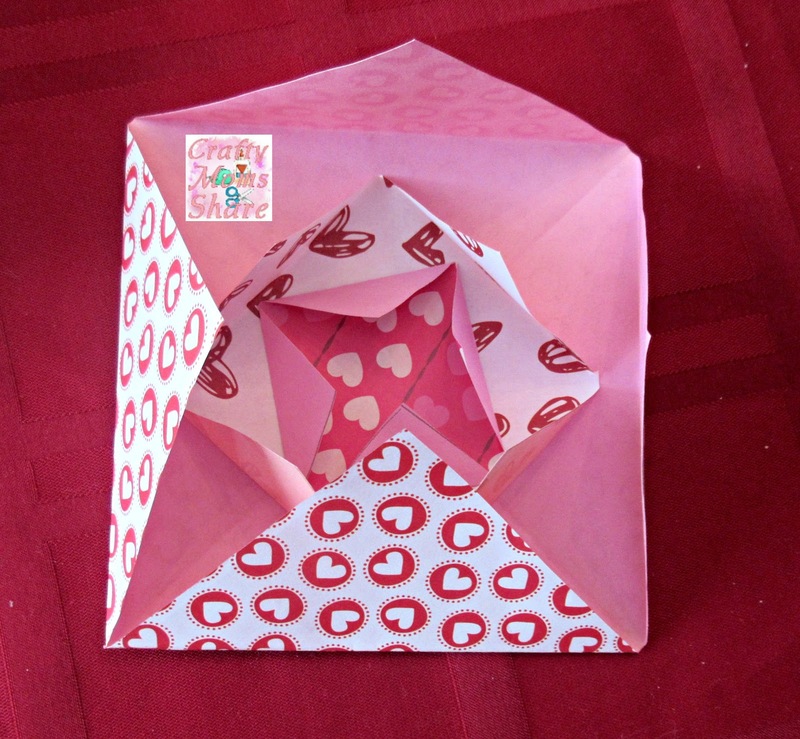 It is also extremely easy to fold. The hardest part is having the correct sizes for the layers and centering them when gluing. 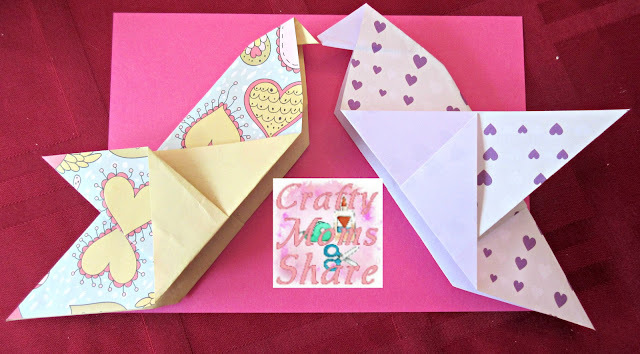 The final project I tried is the Love Birds Card. I think the sample in the book must have used smaller squares than I did because my birds are a bit large for my card. I didn't glue them on because of it. 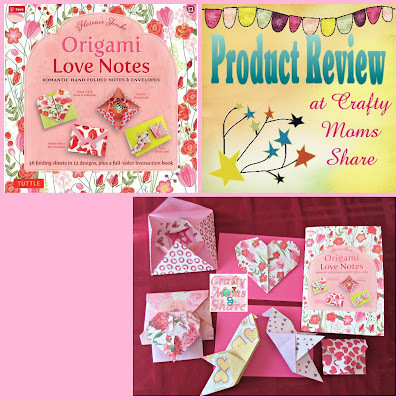 I found all of the projects I tried very easy and perfect for younger children or beginners. 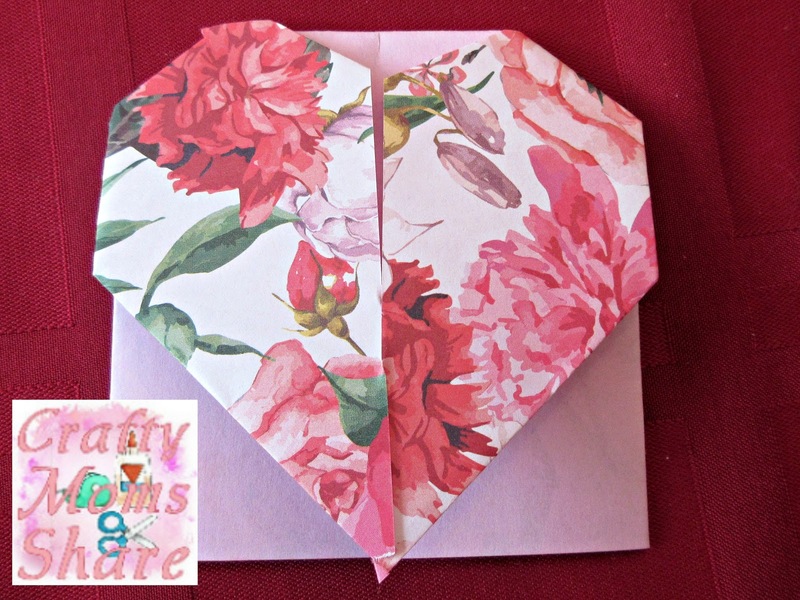 It is such a fun thing to do to personalize your Valentines. I hope you will check out this fun kit.